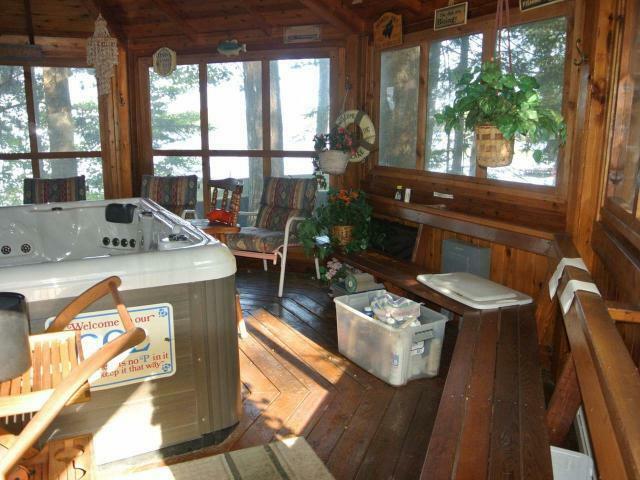 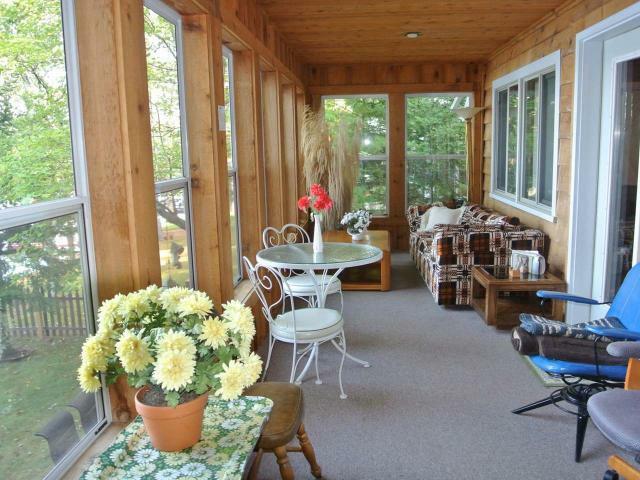 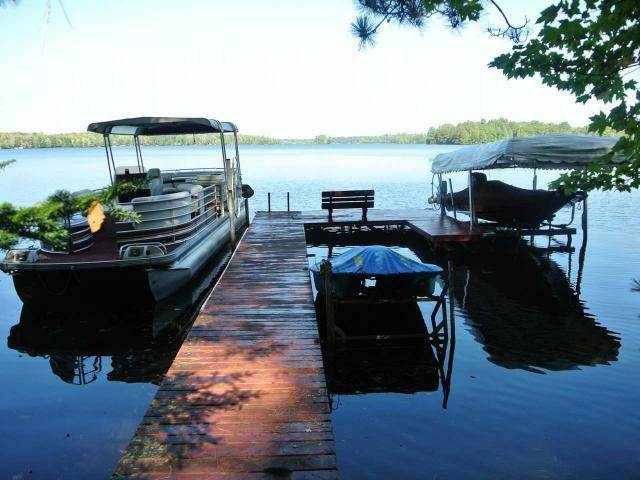 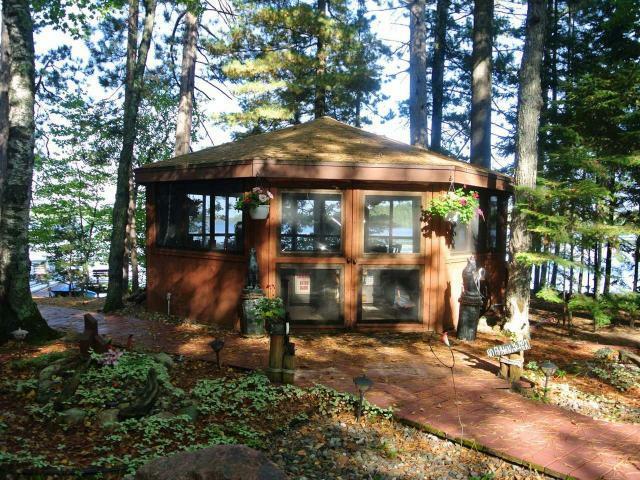 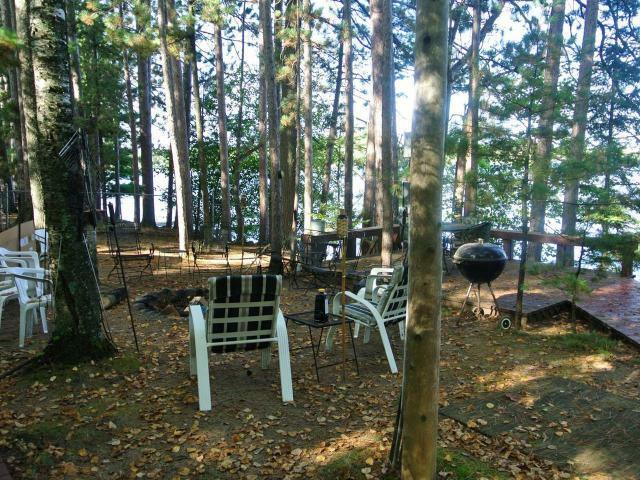 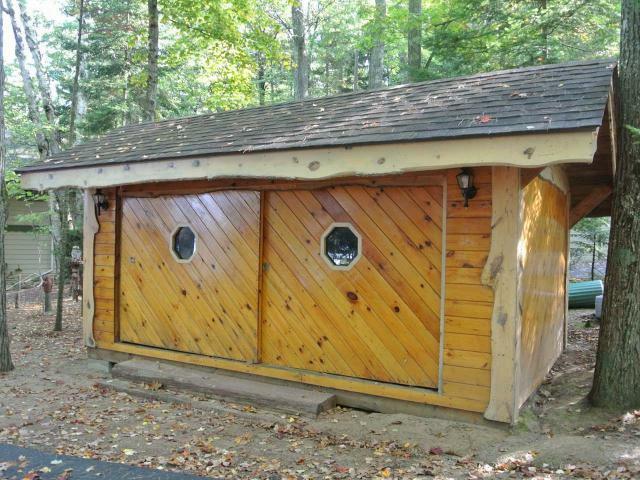 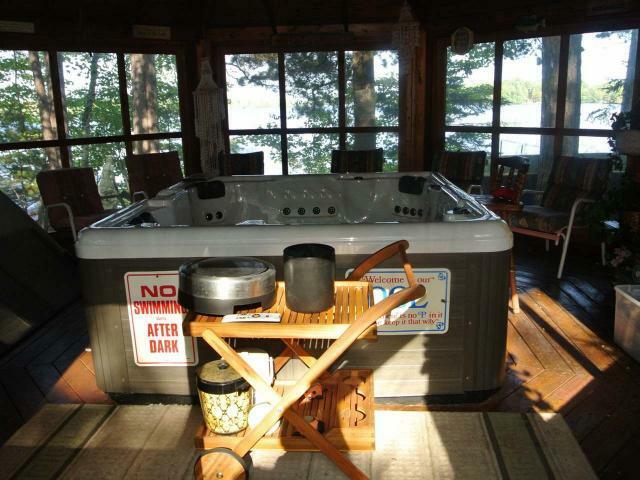 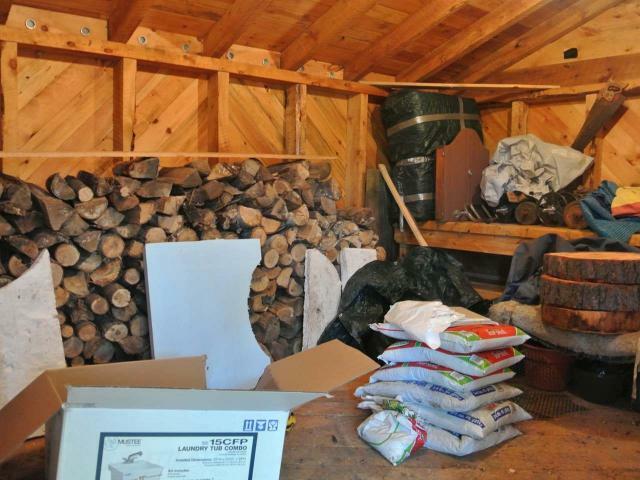 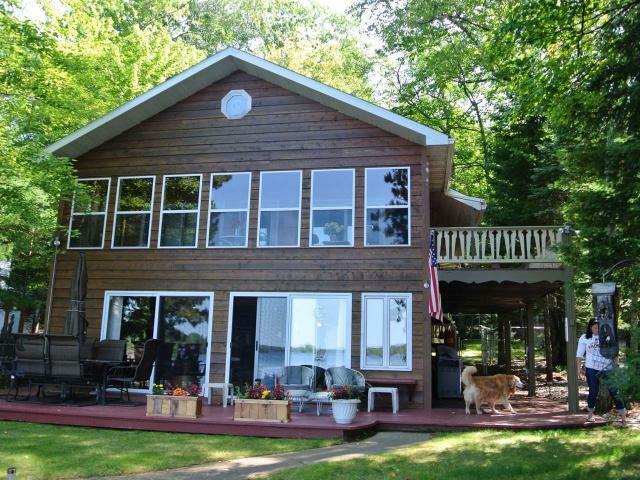 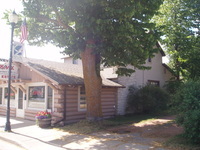 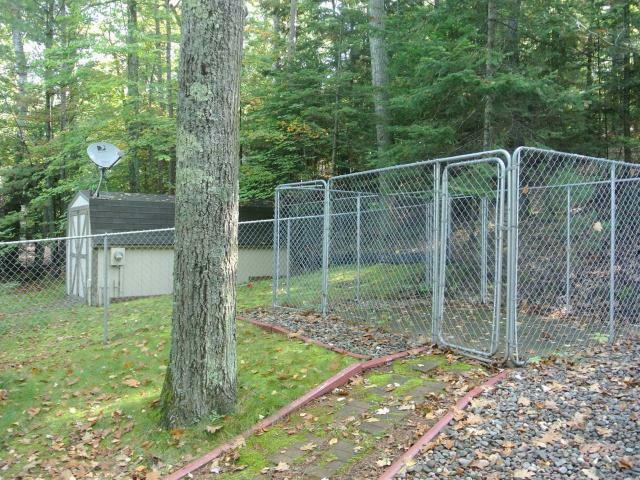 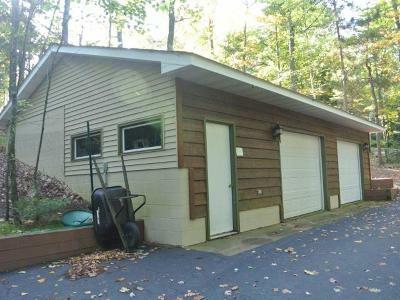 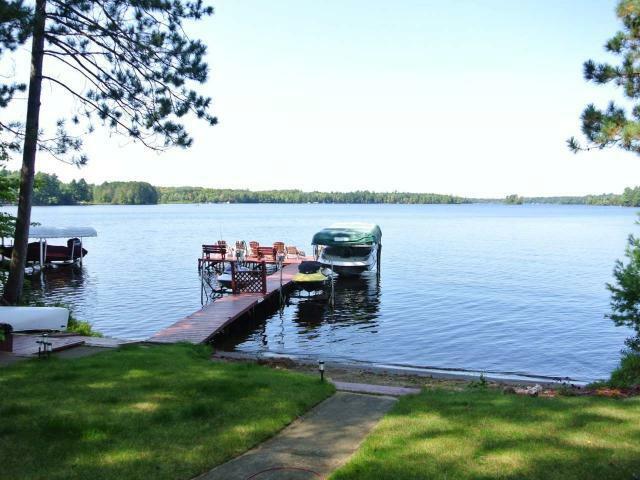 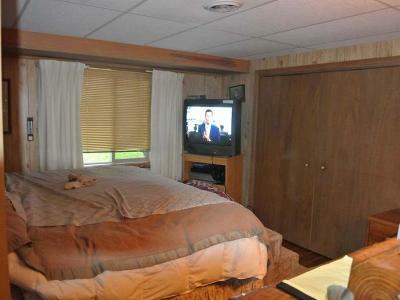 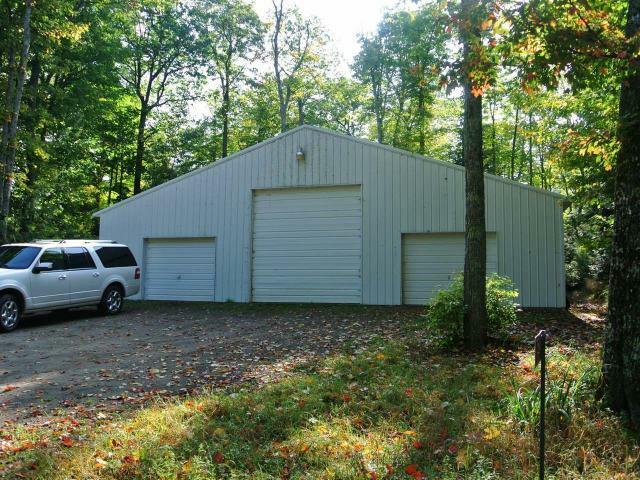 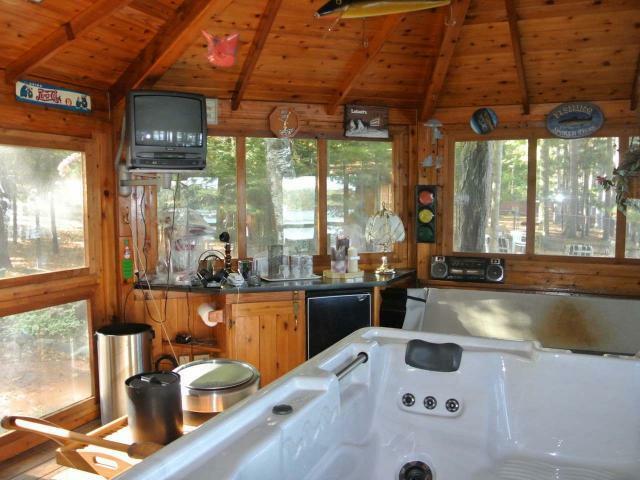 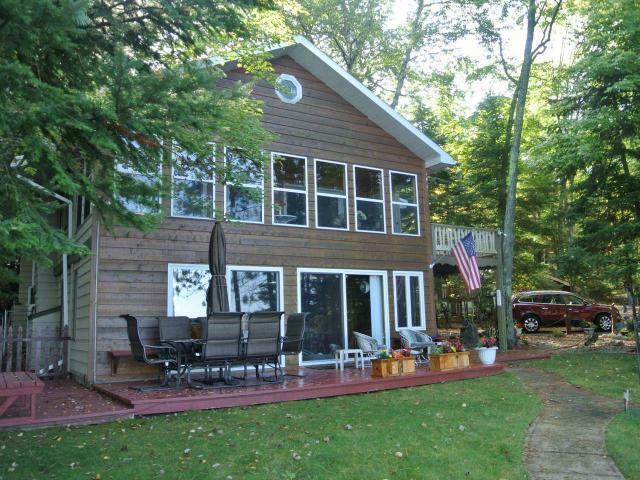 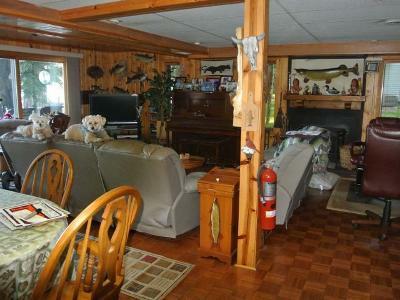 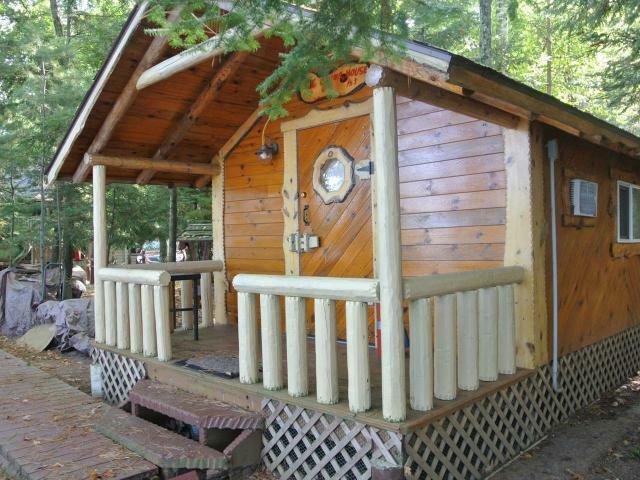 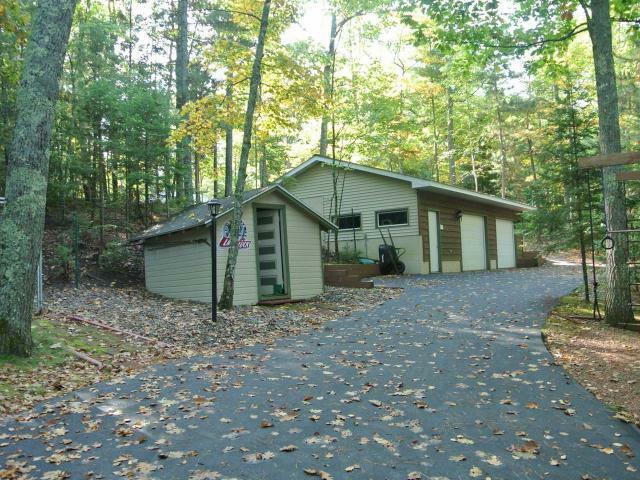 A perfect location on beautiful Island Lake of the 28 lake chain! 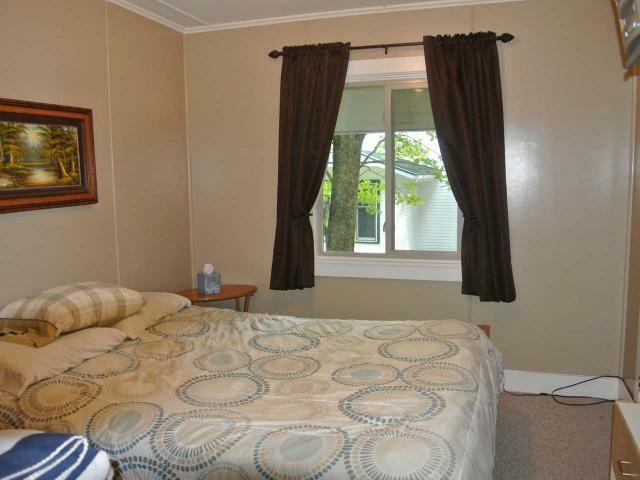 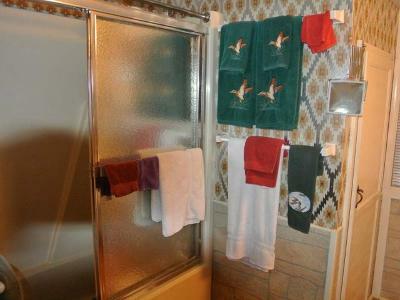 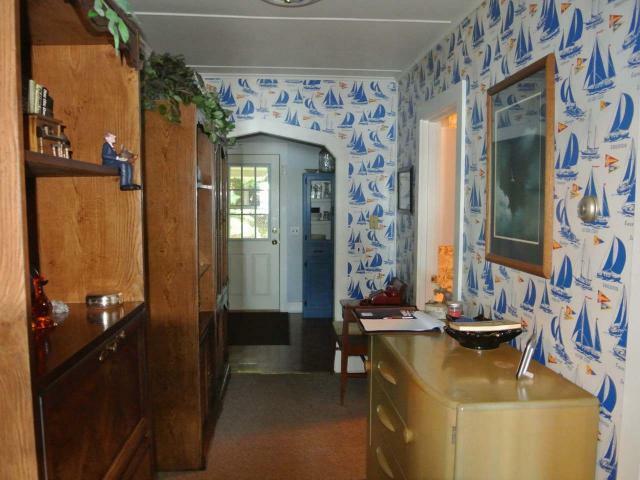 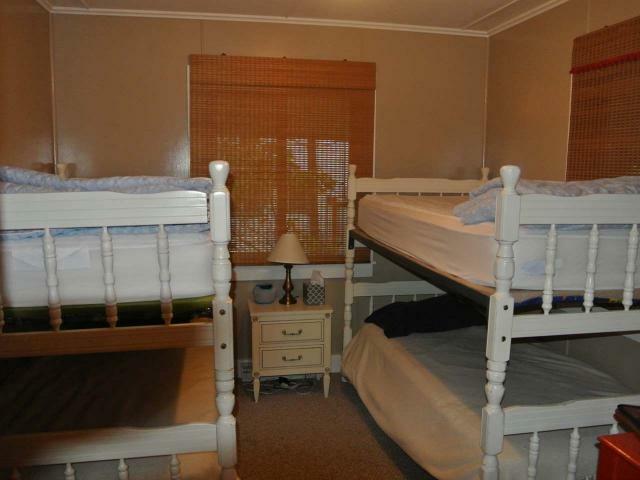 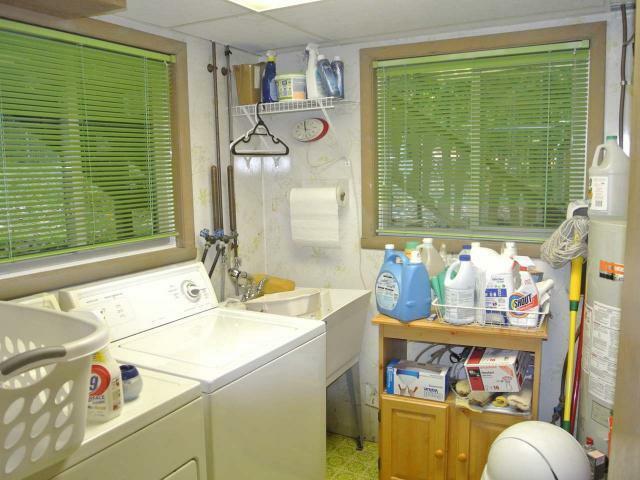 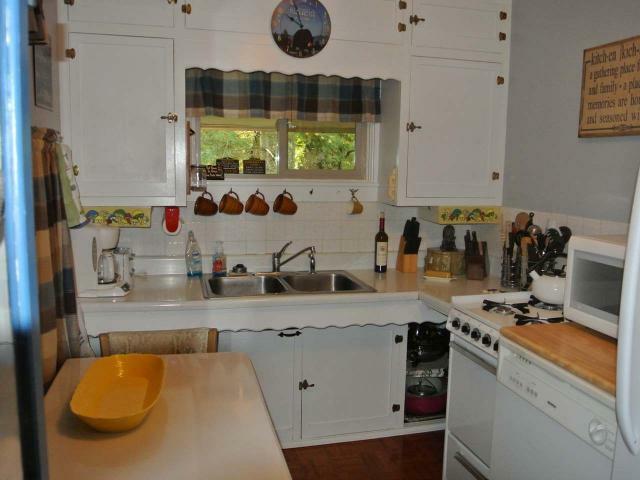 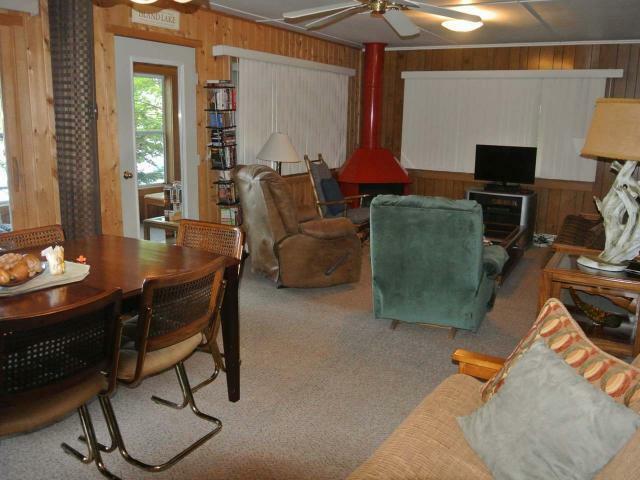 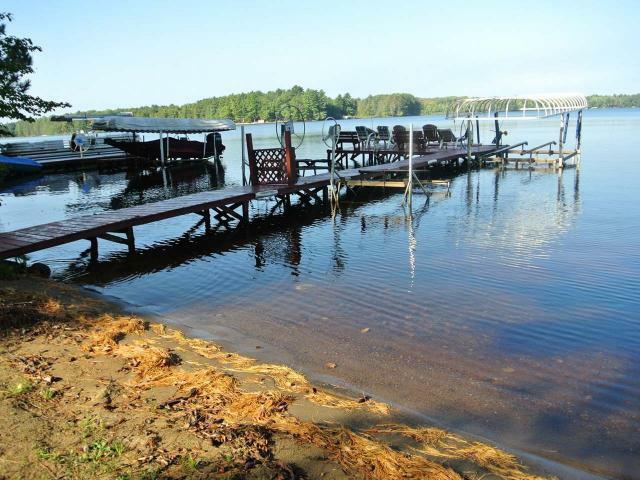 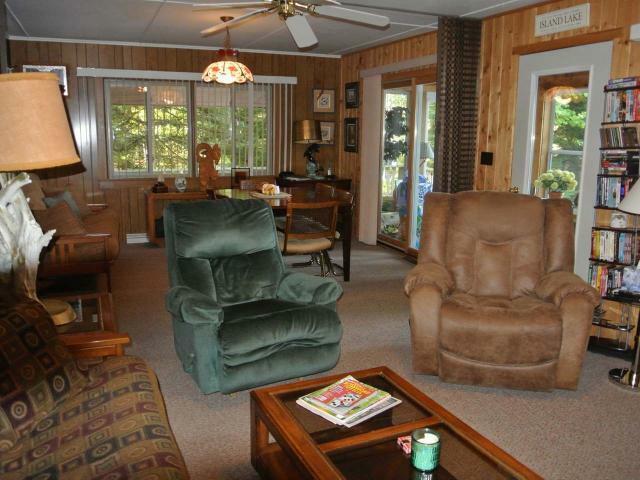 Has level approach from home to sandy swimming beach and two spacious piers. 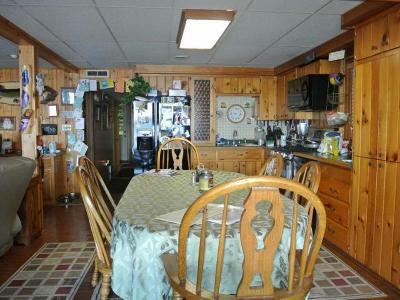 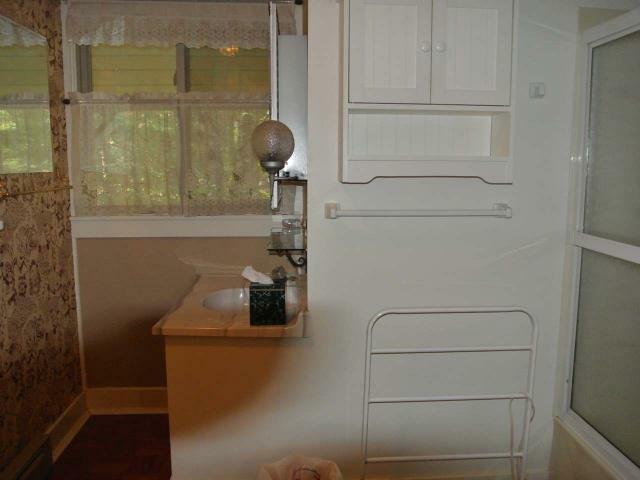 The lower floor is a 1 bedroom home and the second floor is a 2 bedroom home. 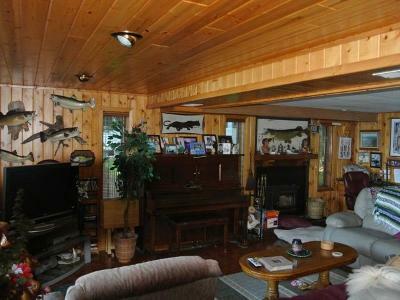 There is both interior and exterior access from one floor to the other. 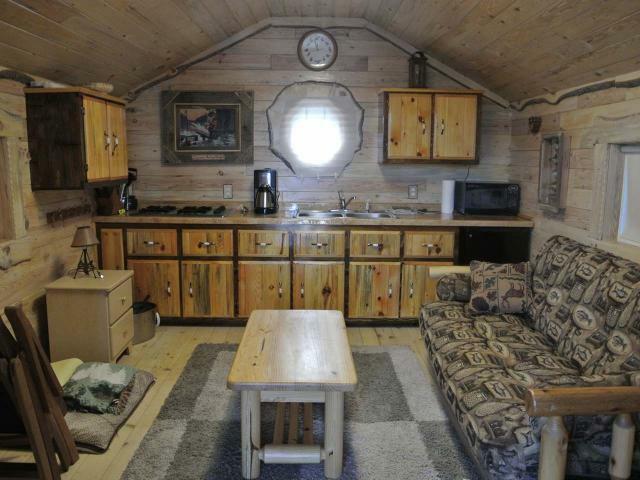 Also included is a bunkhouse for guests, a likeside gazebo with bar and hot tub for entertaining, a 2+ car garage with workshop, and 3 outbuildings for toys and storage. 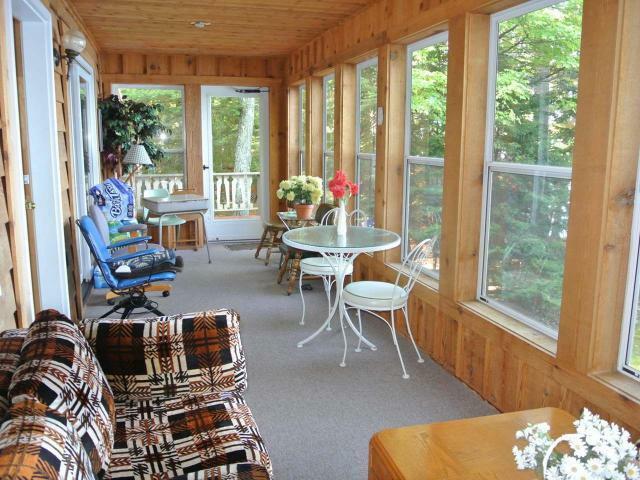 The westerly exposure offers those great sunsets we all enjoy!